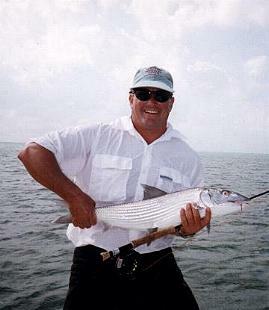 bonefish in Islamorada weighs between 8 to 10 pounds. 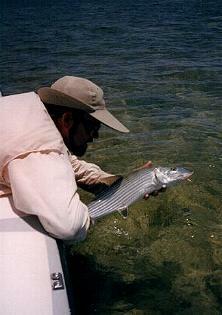 A big bonefish is between 10 and 12 pounds. 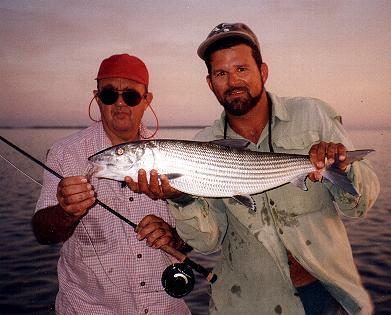 Any bone over 12 pounds is a fish of a lifetime. On my birthday, I went out with my Mom and Dad for the afternoon, and got into about +40 ultra-shallow tailing bonefish. 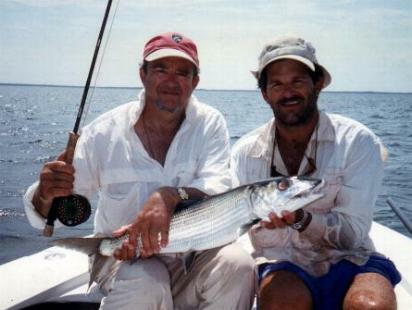 We all took turns fly fishing. I hooked up a smoker. After three bruiser runs while my Dad poled after it, we finally got it to the boat. It weighed 11 lbs. on the chatillion scale. This was a fantastic b-day. Earlier that day I also caught a 50lbs. 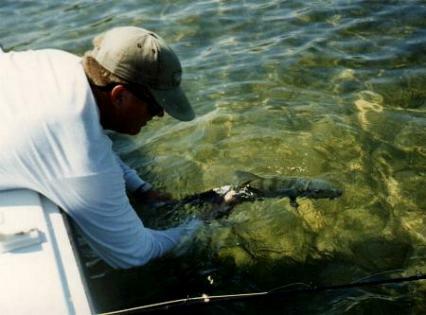 tarpon on fly rod with my brother-in-law, and we both caught 3 tarpon on bait. 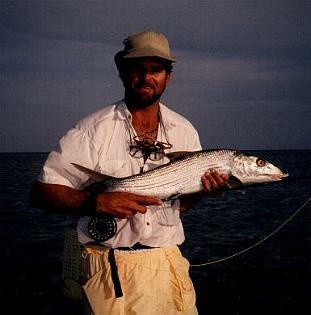 Tony Carter and his big bonefish while fly fishing. What a back on that fish. Wont find these boys in Mexico, Belize, or Bahamas. I get a big bone while wading and fly fishing. 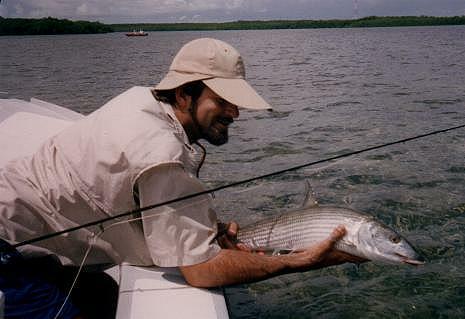 Rick Brito releases his bonefish on fly rod. 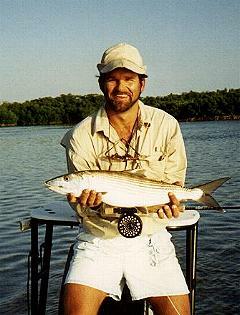 A great bonefish while fly fishing on your day off. 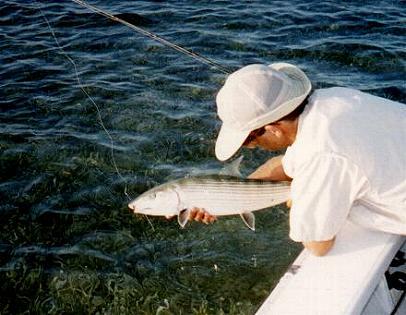 Landing a bonefish on fly rod. 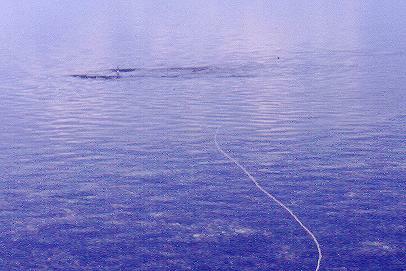 Look at that tail sticking out of water. 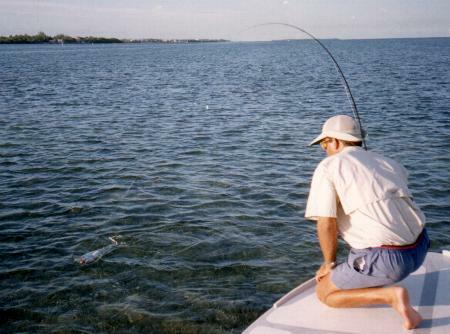 A "close-up" as Doug Cheney is fly fishing at a school of tailing and finning bonefish. 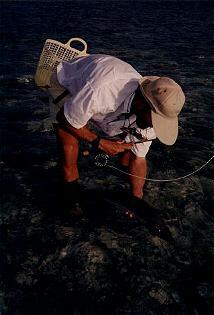 Doug Cheney fly fishing at a beautiful school of tailing and finning bonefish. 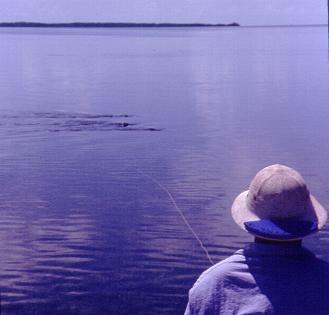 Doug made some excellent casts, he just didn't have the bonefish gods looking over him that day.